Last month I wrote about Mick Glennie's new blog, John Mackenzie Hillbilly Watch. I'm always a bit nervous when somebody wants to make their focus just one subject, and in this case, just one person. However, as Senator Stephen Conroy hasn't yet turned our digital life into an outpost of China just yet, I guess people are welcome to rant on about whatever they like. 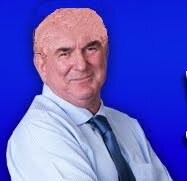 Needless to say, Mick Glennie has been unrelenting in his bid to hold the popular radio announcer to account, since he launched his blog a few weeks ago. He says John Mackenzie's latest beat-up is the issue about the deepwater access to the Cairns wharf by large cruise ships, many of which use an anchorage at Yorkey's Knob. "Today, he's goaded one caller into saying 'why doesn't the Mayor spend her time fixing the port instead of building the Val-Cano?' " Mick Glennie writes. "The second caller then said 'Where's the leadership from the Mayor on this issue' to Mackenzie's encouragement." Glennie says Mackenzie is angry about the proposed cultural centre planned for the Trinity Wharf area, and says he shouted at the Mayor to "take the money from this thing and use it to send the itinerant scum back home. 'Itinerant scum' is John Mackenzie's code for Aboriginal people from the Cape, Mick Glennie writes, and cites examples of his radio broadcasts breaches. Glennie questions if "wigboy Mackenzie is our own Mel Gibson," a reference to the way he talks about Mayor Val Schier, and the latest outburst from the Aussie ex-pat and sweary Hollywood hubby, Mel Gibson. Here's the most sought-after video at the moment. Lock up the kids first. Guess had she not know the conversation was being taped, she would have been a little more voluble tha she was. I would guess the "comparison" of the 4CA rugnut to Gibson is the continual racism shown by Macca towards our ATSIC neighbours and now his unbridled misogyny he's unleashed on Mayor Val Schier. I'm with Glennie. MacKenzie sows negativism and anti-everything mantra thru his 300 hillbilly listeners. Frustration at not being able to fix the problem can drive anyone to the point of yelling & anger. Yelling & anger may cleanse the system at that moment it comes with consequences. Calmly putting forward logical community arguments by the community without a seat within the voted representatives of council is only allowed if the Mayor Grants such A community wish. (having 12000 supporters) puts you in the position of (A threat) that should not be heard on the council floor debating the rights of any motion. As you might actually put forward an arguement that may sway councillors your way..
Democracy in Cairns regional Council is limited to the community being able to convince councillors to ask question 's on thier behalf. There are very few councillors on the council floor at GB time asking the questions of our mayor & council officers that the community wants answered. Sad but true. Micheal I think the target on my back is not rather bigger than yours when it comes to politcial comment. Mackenzie's another Yesterday Man! Back in the '80s, when 'Four See Hay' had a few listeners, he might have held some sway in this town. Not any more! Wigboy and his radio show, and the rednecks who phone in, are anachronistic. John Mackenzie is the bully of the worst kind. He has the power and uses it to vent his anger and frustrations at everything positive.His show is depressing and angry, and encourages other like minds to continue the bullying. What a sad group they are! ".....demagogues benefit from keeping people agitated. The more threatened people feel, the less likely they are to listen to dissenting opinions, and the more easily controlled they are." Well his show is an outlet for people to air their views and have a say. He cares about this town and his knowledge/history of this town is great. Having spent time in Townsville last week, I see Cairns going down the gurgler!! Townsville is going gangbusters.